Summon up your patience one last time, because the aquarium has yet to acquire a perfect equilibrium: the plants must take root and bacteria must develop for the nitrogen cycle. 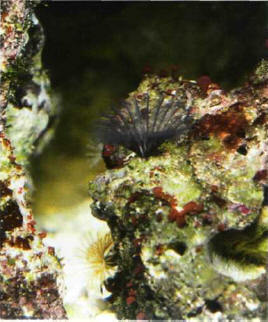 Live rocks and the organisms they carry enhance the functioning of a marine aquarium. The minimum waiting period for a freshwater tank is 1 week, but 2 weeks is preferable. In the case of a seawater tank, the wait can sometimes be as long as 4 weeks. If you really cannot hold out that long, there are several ways of reducing this period. As we have already stated, the aim of this waiting period is to allow bacteria to develop and to avoid the presence of any toxic nitrogenous substances, so you can speed up this development artificially. The first short cut is good oxygenation - the bacteria need oxygen to respire and to transform the nitrogenous compounds - the second is the introduction of bacteria. This can be achieved by adding sediment or filtering material from another marine aquarium, sand, live rocks, or lyophilized bacteria, which can be bought in specialist stores. However, this last solution is not recommended, as it sometimes proves ineffective. Another alternative is to become a breeder of bacteria, feeding them on organic matter that they would not otherwise obtain in a tank that has been newly put into operation. The best menu comprises one or two cooked mussels, cut into small pieces and placed in the aquarium, with any leftovers being siphoned off a few days later. 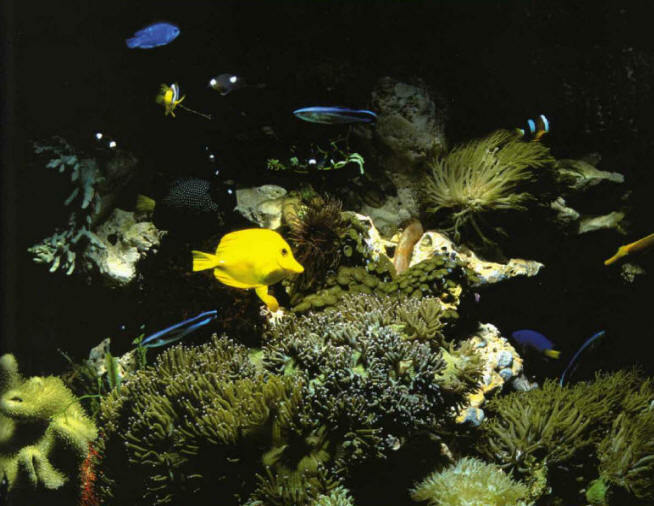 Patience is required to achieve results as beautiful as this in a marine aquarium. Such measures can reduce the waiting period to 8-10 days. However, the nitrite levels must always be measured regularly, and no fish must be put into the tank until these levels have been stable at zero for around 1 week. Only then can you switch on the aerator and UV sterilization (in marine tanks only). The choice of residents depends on the type of tank (community, regional, or specialist), your tastes, and your budget. The number of species available on the market is more than sufficient for most fishkeepers, especially novices. A quick inspection of a few stores will give you a broad overview and enable you to make a welljudged selection. There are some rules, however, that must be respected if you are to avoid results that are too often found: a "hold-all" aquarium, overpopulated with a motley collection of species. It is best to choose a few species and keep them in groups - this is possible for a great many species. Respect their natural behavior, as this increases the probability of eventual reproduction. However, aggressive species that usually live alone must obviously be kept as single specimens. You can take advantage of all the different levels of the tank by combining free swimmers with bottom- and surfacedwellers that can live in harmony. 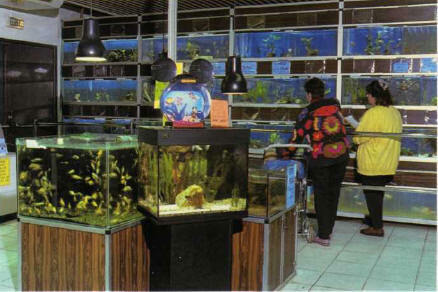 Specialist stores offer a wide range of fish species, including those suitable for novices. There remains the problem of living space. The general rule, for small species, is 1 cm of fish per liter of fresh water and 1 cm per 5 liters of sea water. The table above presents some more precise calculations, but you must bear in mind the maximum length that each species can attain in an aquarium. Obviously, a fish must have a clean bill of health when it is introduced into an aquarium, and there are certain signs that indicate this. There is still a risk of an unpleasant surprise, however, as some fish are carriers of diseases that only come into the open once they are put into an aquarium. 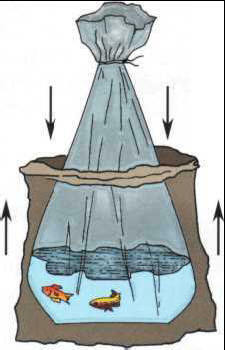 The bag used for transporting fish must be left to float for a while, to ensure that its temperature is the same as that of the tank. It is best to populate the tank in one go, or at most in two, with a short interval between, rather than introduce the fish one by one. A newcomer, by definition, is perceived as an undesirable alien, which can give rise to conflicts that sometimes result in its death. If you are obliged to stagger the introduction of the fish over a period of time, it is best to start with smaller species and allow them to get accustomed to their environment; in this way, they will not be so alarmed by the subsequent arrival of bigger species. 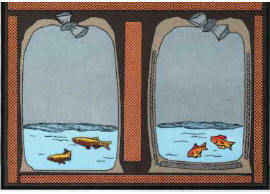 Fish must be transported in airtight bags containing more air than water. Fish are quite easy to transport. Just put a small group into a closed plastic bag containing one third water and two thirds atmospheric air. In the case of species with spiny spokes, you can add a second plastic bag for protection. This system is effective for a short trip, of one or two hours, depending on the external temperature. After that, heat starts to be lost, although this effect can be reduced by surrounding the plastic bag with material or paper and putting it in a polystyrene bag. The bags used for transport must be insulated for long trips to avoid any loss of heat. The fish will be stressed when it is introduced into its new home, on account of the transportation, the radical change of environment, and the difference in water quality. To alleviate this stress, you must never introduce a fish directly into a tank. Proceed in stages, allowing a minimum of 1-2 hours for the whole operation. For the first 30 minutes, just let the bag containing the fish float in the aquarium to make sure that the temperature is the same in both cases. 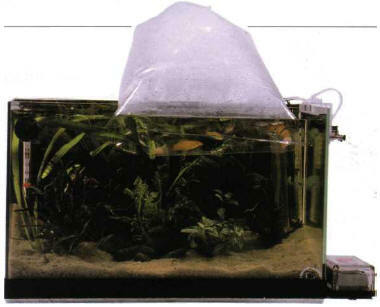 Then open the bag and put a little water from the aquarium inside. Repeat this operation several times at regular intervals until the bag is full. You can then carefully transfer the fish into its new environment. If there are already fish in the aquarium, you must take two extra precautions to increase the chances of the newcomers being accepted: distract the attention of the other occupants by giving them food, and introduce the new arrivals in the morning, before lighting up the tank. In any case, the new fish is likely to hide for a while, and this is a completely normal attitude. When it reemerges will depend on its nature, but it sometimes reappears after barely an hour. Some may take longer to acclimatize, however. It will soon grow accustomed to its new environment and the feeding schedule, and will become completely integrated into the aquarium. If the fish is healthy and you take all the necessary precautions, mishaps are very rare and the ecology of the aquarium will not be upset. ЧЕРНЫЕ ГОРЫ , название лесистых передовых хребтов Большого Кавказа типа куэст, к северу от Скалистого хр. Высота до 1500 м.